Pretty Women. Do they have it easier than women who are less attractive? Well the consensus is, yes and no. It’s undeniable that pretty women have certain advantages over women who are considered to be ‘not as pretty’. Pretty women are often times treated better overall because of their appearance, especially by men. It could be in a retail shop, a restaurant, bar and it’s even said that attractive people are more likely to win out over a less attractive candidate for a promotion or even an initial job opening. And the lucky pretty ones can sometimes even talk their way out of a speeding ticket, but that also entails a degree of acting ability. 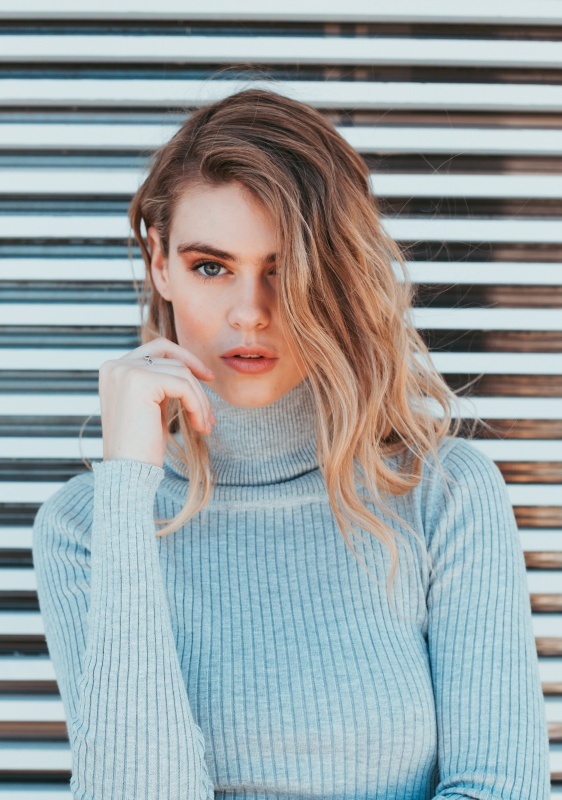 Pretty women can even enter careers that are based solely on looks, such as modeling, that less attractive people can’t ever consider as an employment option. But there is also a downside to being a pretty woman. Pretty women have the same problems as everyone else. They often also have a harder time attracting a mate. Not a date, a mate. Many men are too intimated to even approach pretty women, no matter how badly they’d like to meet one. And the men that are secure enough to strike up a conversation with a pretty woman often times see her as nothing more than a trophy. Hence the date, not mate statement. Its been said that many pretty women have self-esteem issues and do not see themselves as ‘pretty’ even though they are told that they are on a regular basis. When they don’t get a sign of interest from a man they see out in a social atmosphere because he is intimidated by her, that is a blow to her ego. Rejection, in general, is a blow to anyone’s ego, however not even being able to even make that initial contact might be an even worse scenario. There are plenty of women who are not only beautiful on the outside, but are also beautiful on the inside, who have yet to be married, have children or find that lasting relationship. Look around at the people you know and see how many couples are made up of men with average looking women. It will probably be more than the couples made up of men with beautiful women. There are those pretty women who use their looks to their advantage, and a lot of times, take advantage. They may be egotistical and even arrogant. But to be honest, there are egotistical and arrogant people of every stature, not just the attractive ones. And a self-confident, pretty woman does not necessarily equal a conceited, pretty woman. We should all try to keep that in mind. With the media shoved in our face everywhere that we go, our visual appearance has become a huge part in our everyday lives. Whether it is tanning, hair coloring, plastic surgery, or “Anti-aging cream”, we can see the dominance of image in our society. Everyone wants to look young, healthy, and like Brad Pitt, Right? As a result of this pressure on image, Anti-aging creams are a heavily marketed and advertised product, promising to deliver healthier and younger looking skin, while reducing wrinkles. Most of the time these creams are targeted at women, but we are now beginning to see products that are more targeted to men as well. This shift is because society is starting to more readily accept men being conscious about their looks and image. There are several different forms of anti-wrinkle treatment. The biggest advantage to using a ceram over another method such as plastic surgery and botox injections is the huge difference in cost. Many critics will tell you that the marketing and advertising that goes into these products is actually damaging, and is playing with the fears in women and men. Really there isn’t huge proof that any of these products work well, if at all, which is another thing you will hear critics rave about. Do wrinkles in our skin matter, and do these products really work? I would recommended asking yourself that first question, and spending some time to answer the question for yourself as every individual is different.